When Rachel Peters' fame shot up in 2017 after winning Bb. Pilipinas Universe, we noticed she had an uncanny resemblance to our favorite It Girl Solenn Heussaff. From their face shape to their long tan limbs, Rachel and Sos could definitely pass off as sisters—twins even! What surprised us, though, was the fact that these two stars never met until recently! Rachel and Sos bumped into each other at the airport and, of course, just had to take pictures with each other. 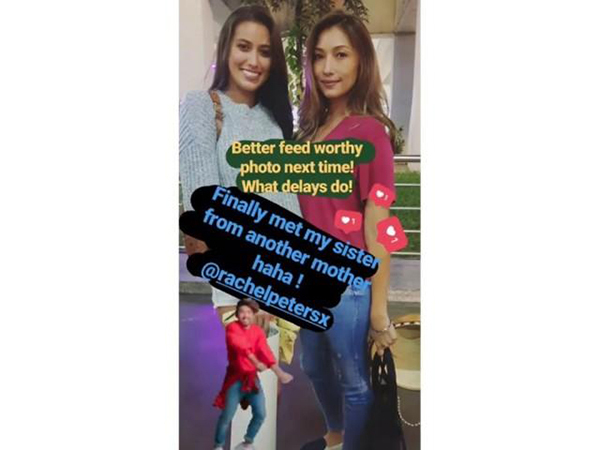 "Finally met my twinnie," wrote Rachel on Instagram. On Instagram Stories, Sos said: "Finally met my sister from another mother haha!" We soooo want to see these two do a project together!